The Capo wrestling team took a break from pre-season training this Saturday with a back-to-school cookout. Parents and wrestlers alike gathered at Hidden Hills park to hang out, eat some good cookout food, and play kickball. In the end, the freshman battled the veterans until the end, with the veterans eeking by due to a few NFL replacement-referee-like calls in their favor…at least that’s how the freshmen remember it. Their recollections might or might not be entirely accurate. This week its back to work in the training room. A scrimmage at San Clemente High School will be this Saturday. Everyone is highly encouraged to attend. The team is also going hard at fundraising. The team needs to raise $45,000 in order to hit budget. If you can contribute, please donate by clicking on the paypal button on the sidebar. 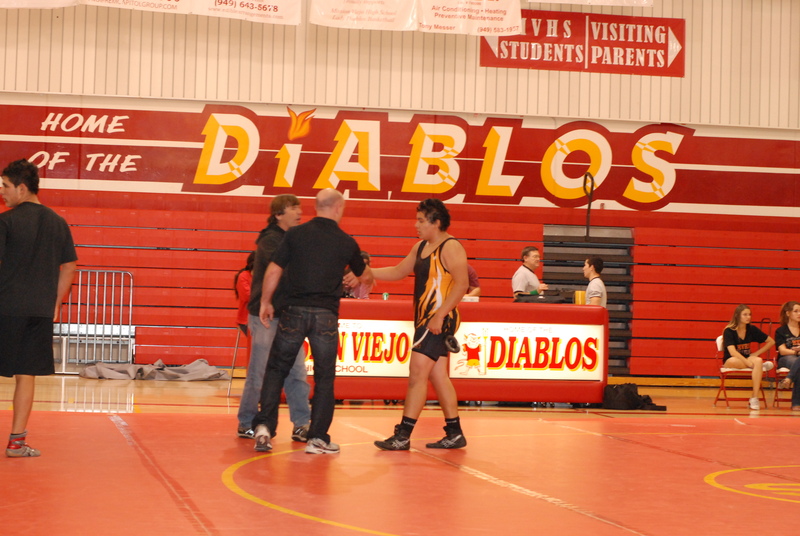 One legged wrestler Anthony Robles of Arizona State, currently top ranked at the D1 college level. Talkin' about persevering! NOTE: A new page is up–pictures! Click on it from time to time to see the Cougars in action…special thanks to Robin Adam for taking those pics! They’re awesome. –The guys with a (?) by their names are pending, because they were not at practice today. If they do are not at practice tomorrow (8am), they will not be wrestling. Tristan, that is why I have you listed at 119 as well…if Merrill is the main guy, you will be the extra. If Merrill is the extra, you will not be going. You will know your position by looking at who is at practice tomorrow. 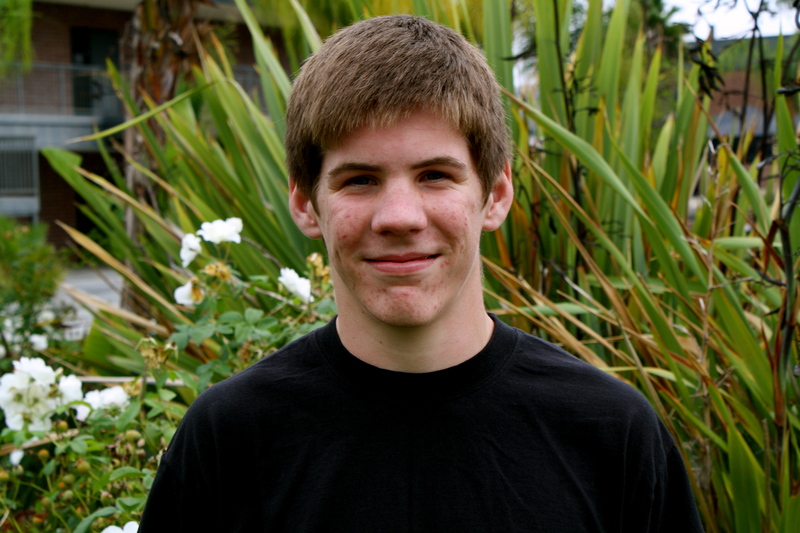 Extras, if you are not wrestling in a particular dual, step up and help coach Morgan take stats. There will be a parent meeting Monday at 5:30pm in coach Bordner’s room (P19) for those who are new to the team from football and from the past 3-4 weeks. Also, if you missed the first parent meeting, please do come to this one. And don’t forget the weight allowances this week: +1 at Lakewood, +2 at Irvine, +1 at Beach Bash, +0 at Santa Ana Freshman tournament. This guy is gonna have a break out year...I can just feel it. 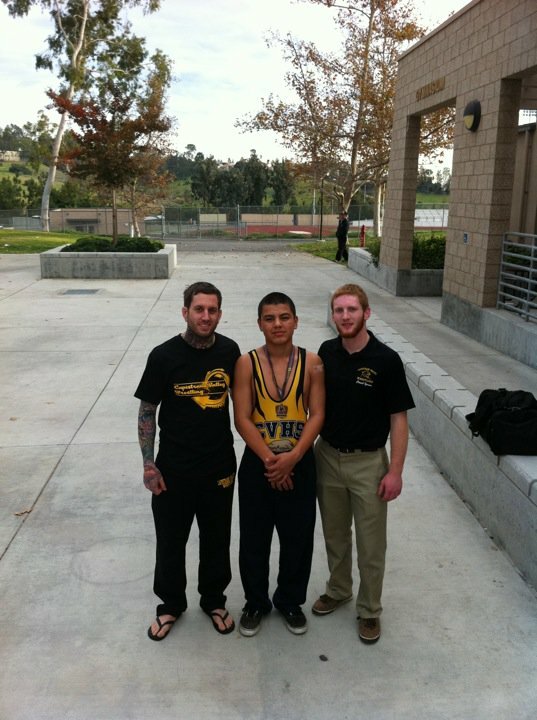 At the Laguna Hills Freshman tournament, Jose Mendoza placed third.